Proudly serving Ventura County & San Fernando Valley since 1988. 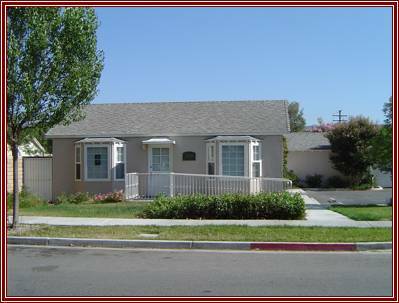 Corporate office centrally located in Simi Valley. We could fill our Home page with information about our company like how we got started, but we think you are really only interested to know one thing. As a customer, what kind of service can you expect from our company? Our commitment to excellent customer service starts when experienced office personnel answer your phone call, not a voice mail system or answering service. It continues when our estimator consults with you on your project to determine your repair needs, relying upon 30 years of experience to give you the most "bang for your buck." We then deliver our written proposal with a complete description of the work to be performed, including the exact cost, so there are no surprises during construction. We answer all your questions and provide any information you need to educate yourself about your asphalt which will help you make an informed decision. 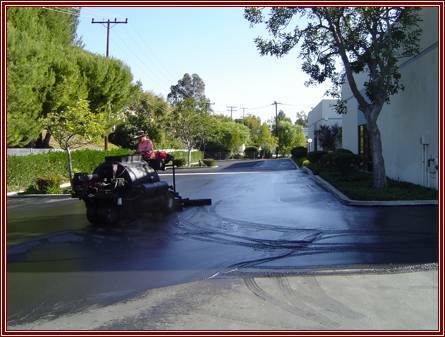 Our field crew which has been described as doing, "The best asphalt work seen in 20 years," will perform the repairs with attention to detail and complete your project to our high standards. Our customer service will continue through our warranty period and beyond, by helping you maintain your asphalt in the future and ultimately save you money in the long run. We would love the opportunity to earn your business by providing you with excellent customer service. 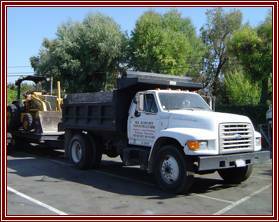 Dump truck and skiploader for grading & paving. Our foreman, Scott, applying seal coat.